How come the Houston Toros, C division are not listed? Fixed! Thanks for point that out. I thought all cities had to send one team to every world series. Why are there zero Toronto and Montreal leagues being represented? Has the time been adjusted for the Seeding party and talent show as a result of delayed playing times today? Is there a list of all the seeds in numerical order in one place so we don’t have to go through each team to figure them out? Without looking at the specifics, you should go by the managers pack which is the official schedule. Are the Championship games on the same field, and if so, which complex? All Saturday games are at Lexington Diffley, starting at 7:50am. The first championship games aren’t until early afternoon. The last 5 D teams lead to pages w/ errors, no schedules. Thanks for the alert. We’ve Fixed it. The LA and LV B teams’ schedule is is not coming up. Their pages have errors. James — Thanks for the note. We’re back at the hotel and we’ve fixed the issue with the information displaying properly. Best of luck with games tomorrow. The schedule is not up for any of the Seattle teams. Certain platforms are having difficulties posting the pages properly. A sampling of input from Tuesday reveals that some Blackberry, Android, and Chrome for Mac browsers are having these problems. It’s displaying properly on most iPhones, iPads, and Windows phones. Why roadrunners from palm springs not in here in c division ? Palm Springs Road Runners is not a team entered in the tournament. Thanks for the suggestion. 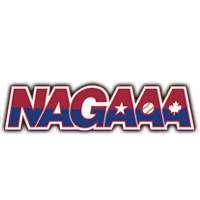 We’re working on that feature and hope to have it ready for 2014 NAGAAA Cup. Orlando Wild Stallions & Dallas Boom’s pages have not bren updayed since ladt night. It still has them playing wed @ 6:40pm. Thanks for the heads up. The pages are now updated. Great site! Is there going to be a consolation bracket schedule posted? When does that start for the various divisions ?